Have you heard of Jet.com? It's a new online "marketplace." I put marketplace in quotes, because Jet isn't really a marketplace at all. It's a facsimile of a marketplace. It purports to compete with Amazon – offering everything imaginable for sale. But unlike Amazon, Jet doesn't really have much to sell... or really any products at all. What it does have, though, is lower prices than other online retailers. Currently, Jet lists 4.5 million products for sale on its website. But it owns almost none of them. Instead, Jet copies the products and descriptions of other online retailers. It then offers the same products on its website at a lower price. When a Jet customer orders a product, a Jet employee goes to the actual online retailer's website and orders the product. It's then shipped to the Jet customer's home. While Jet is losing money – a lot of money – on every sale, it plans to make up for the losses by dealing in huge volume. No, I'm not kidding. The company's business model is to build a huge client list by taking these losses and then, eventually, turn a profit by charging its users a $50 membership fee. A recent Wall Street Journal test of the website revealed the company lost more than $200 on the sales of 12 items. Currently, Jet is valued at $600 million by the geniuses at Goldman Sachs, Google Ventures, and Alibaba. For the past six years, the Federal Reserve (the central bank of the United States) and its major counterparts around the world have conducted an enormous monetary experiment. As my research team and I have shown our subscribers again and again... not since World War II has the U.S. created so much paper money. Other nations, like Japan, have created even more "monetary stimulus." All around the world, central banks have been creating money out of thin air and buying trillions worth of government bonds and other "safe" forms of fixed-income securities, like mortgages. This has driven down the cost of capital drastically in all developed economies. Academic and popular economists, like Paul Krugman, have endorsed these massive experiments. Politicians clearly believe in the "medicine" of central banks' massive currency printing and bond buying. On the other hand, we've been fierce critics of these actions. Call us old-fashioned, but we believe in an older, more conservative "brand" of economics. In our experience, the creation of wealth always begins with the act of saving capital. Interest rates, in our humble opinion, should be set by actual demand for capital. This demand ought to create interest rates that encourage thrift, economy, and savings. These interest rates would act as a brake on reckless speculation, forcing entrepreneurs and large businesses to consider what new projects are worthwhile. But... what happens when capital is not created by the crucible of careful saving... and what happens when entrepreneurs pay essentially no cost to gamble? You get farces like Jet. While the Federal Reserve's policies might spur economic activity, we do not see how lower interest rates necessarily create bona fide economic growth or actual wealth. By messing around with the most important price in all of capitalism (the price of capital itself), the Fed deliberately short-circuited the flow of information between consumers and producers and between borrowers and savers. Change the price system and you'll change behavior, because you're changing the information about incentives that people receive. And that rarely works out in the long run. One is in student lending. U.S. students have borrowed $1 trillion for college. Most of these loans were used to purchase vastly overpriced "online" educations of highly dubious value. Consider that in 2000 – just 15 years ago – the largest debt-funded college in the U.S. was New York University, a highly credible, long-standing institution that serves smart and ambitious students. At the time, former and current NYU students had $2.2 billion in student loans outstanding. Today, the leading debt-funded college in the U.S. is the University of Phoenix, where $36 billion (yes, that number is real) has been lent to current and former students, almost all of whom received an online education. Eight out of the 10 largest debt-funded universities are online schools. I'd estimate the debts used to fund these educations make up around 80% of all outstanding student loans. These debts will never be repaid. And the default tidal wave is starting right now. Another bubble is in the oil and gas sector... Nearly all the growth in the U.S. high-yield bond market over the last decade is related to oil and gas exploration and production. Since 2010, more than $500 billion worth of new corporate debt was raised for U.S. onshore oil and gas producers. It's this capital that financed the oil boom – which is responsible for all the net job creation in the U.S. since 2009. These debts cannot be repaid with oil prices at less than $60. And yet they're all coming due between 2016 and 2020. As these debts go bad, even major oil companies will see their bonds downgraded and their dividends cut. For the banks, insurance companies, private-equity funds, and pension funds that provided this initial capital, there's a tremendous amount of pain ahead. Investors who are patient and liquid will have an opportunity to buy exceptional assets at great bargains. Over the next two days, I'm going to show you how to be on the right side of what will be the greatest legal transfer of wealth in history. Editor's note: As Porter explained today, we are approaching a period of vastcredit default... 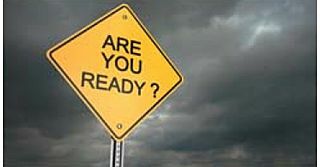 If you're not prepared, you'll likely get wiped out. That's why, this Wednesday, at 8 p.m. Eastern time, Porter is hosting a live webinar designed to teach you everything you need to know, including the best way to make money from this crisis. We've had record interest for this event, so if you haven't had a chance to reserve your seat, we recommend you do so right now. You won't want to miss this... Click here to secure your spot today.